Ed Williams of the 2003 team that beat So Cal? Played in Germany as late as 2016? / Ed Williams of the 2003 team that beat So Cal? Played in Germany as late as 2016? It is less than three months since the Elchinger Scanplus Baskets celebrated their ascent to the Pro B in the Brühlhalle. In the meantime, two things are clear: The elks will probably play a decent role in the third highest German league, and with a number of players, there will probably be no reunion in the coming season. One of them is Ed Williams. The 1.98-meter man is 35 years old this summer, and he has played as a professional mainly in Germany. Among others in Ulm, Weissenhorn and in the past two years in Oberelchingen, where he was the best thrower and rebounder considerable share of championship and promotion. 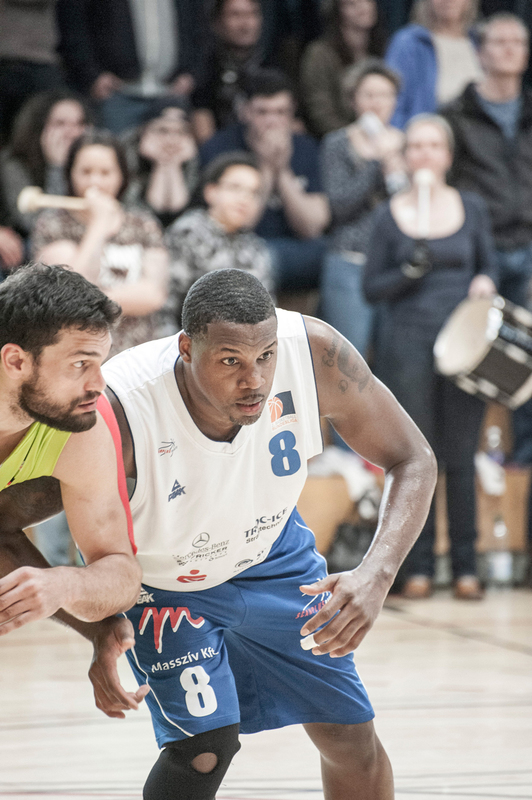 The problem with the Elchinger personnel planning: In the Regionalliga any number of foreigners can play, in the Pro B only two may be on the field, and with the naturalization, it did not work out as Williams himself and the club had imagined. As an American, he is the Elchingern in the third highest league but probably no longer young and not good enough. RE: Ed Williams of the 2003 team that beat So Cal? Played in Germany as late as 2016? Ed "Freaking" Williams! One time a lot of us from the old CAA board went to a game in High Point and set right at the baseline. Ed stole a pass and slammed it HARD and the ball came right to me. I didn't want to give the ball back to the referee because that ball still had magic in it. It was a weird scene. And, it was as if the ref knew exactly what we all were thinking at the time. This cat was a freak show in transition and it was a treat for everyone in the arena to witness. That was an AWESOME squad. (08-04-2018 01:44 PM)billthebighawksfan Wrote: Ed "Freaking" Williams! One time a lot of us from the old CAA board went to a game in High Point and set right at the baseline. Ed stole a pass and slammed it HARD and the ball came right to me. I didn't want to give the ball back to the referee because that ball still had magic in it. It was a weird scene. And, it was as if the ref knew exactly what we all were thinking at the time. This cat was a freak show in transition and it was a treat for everyone in the arena to witness. That was an AWESOME squad.